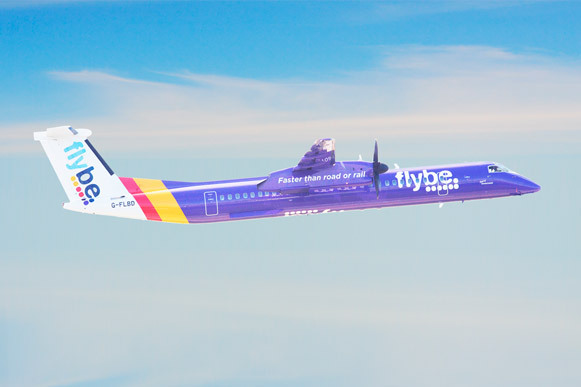 It's been just days since Virgin Atlantic, Stobart Group and Cyrus came together to put in an official deal for the troubled regional airline, Flybe, which could lead to the birth of the Virgin Atlantic brand flying small regional thin routes in the UK. Many in the industry see the dilution of the so-called sacred Virgin Atlantic brand in this way would almost certainly prove to be disastrous in the long run for Virgin Atlantic. Although some have a more positive appreciation of the Virgin Atlantic brand on domestic and European travel. FlyBe's share price tumbled down on news of the offer of £2.2 million from the Virgin lead consortium, called 'Connect Airways' - nothing to do with the Swiss Connect Air that ran between 2004 and 2008 or the Connectair, the feeder airline for British Caledonian in the 80's which went on to become Air Europe Express. Interesting to note, that one of the few people buying FlyBe shares is one William Andrew Tinkler, the former boss of Stobart, who just happens to be involved in a rather acrimonious legal dispute with the company. Apparently, Tinkler and two other leading business people were looking at taking over Flybe or merging it with Stobart Air many many months ago! Earlier today, Tuesday 15th January, the bid for FlyBe had to be increased to £2.8 million and a bridging loan mentioned in the original announcement was declined, although Flybe didn't say exactly why. However, a revised Bridge Facility of up to £20 million from Virgin and Stobart, to provide funding to Flybe Limited, of which £10 million will be released today to support the business. In addition, a number of improved agreements with banks have also been reached today to improve liquidity was agreed. Connect Airways will acquire Flybe. Stobart Group will contribute Stobart Air and Propius, Stobart’s aircraft leasing business into Connect Airways. In addition, following completion of the Acquisition, Cyrus, Stobart Group and Virgin Atlantic are intending to provide up to £80 million of further funding to the Combined Group to invest in its business and support its growth, as well as a contribution of Stobart Air. Flybe will continue to serve customers and communities across the UK and Ireland. In due course, Flybe will be rebranded to Virgin Atlantic. Christine Ourmieres-Widener, Flybe’s CEO said: “Flybe plays a vital role in the UK’s transport infrastructure with a UK regional network which uniquely positions it to benefit from growing demands from long haul carriers for passenger feeder traffic. We have successfully implemented a clear strategy in recent years focused on tighter fleet management, improving revenue per seat and increasing load factors. The pursuit of operational excellence has reduced maintenance times and increased efficiencies and customer satisfaction. Shai Weiss, CEO of Virgin Atlantic said: “The Virgin Atlantic brand is built on the foundation of putting customers at the heart of everything we do, providing them with the choice they deserve and a travel experience they love. All possible because of our amazing people. Warwick Brady, CEO of Stobart Group said: “The Board of Stobart Group believes that bringing Stobart Air together with Flybe and partnering with Virgin Atlantic and Cyrus Capital is the best way for us to play an active role in regional airline consolidation. Lucien Farrell, Partner of Cyrus said: "We are delighted to be working once again with the Virgin Group following our successful partnership in the launch and eventual sale of Virgin America to Alaska Airlines. We believe Flybe’s strong market position and high-quality management together with Virgin Atlantic’s dedication to the best customer experience and Stobart Group’s expertise in regional flying will produce a worldclass airline." 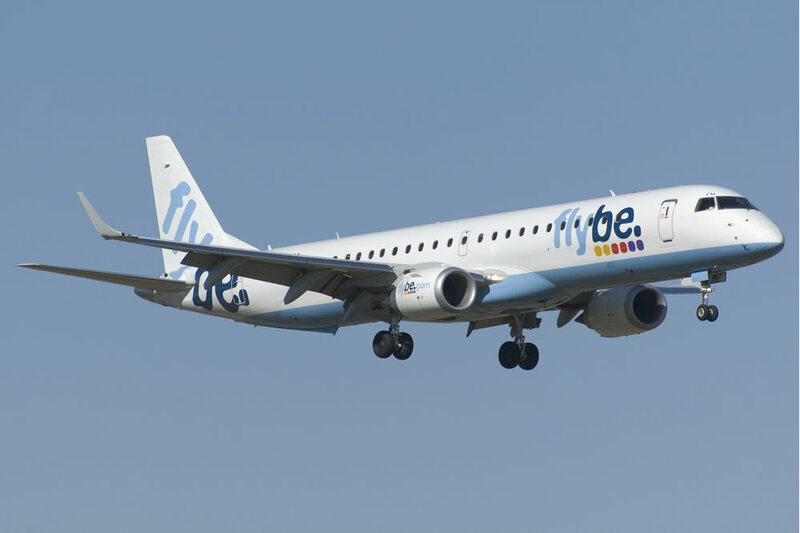 FlyBe sold off prized summer slots at London Gatwick only last week to IAG airline Vueling for rather paltry £4.5 million and the company will move its Newquay service to Heathrow.